It’s important to develop a system to keep your income and expenses organized for a couple of reasons. The first is that it makes tax time so much easier. 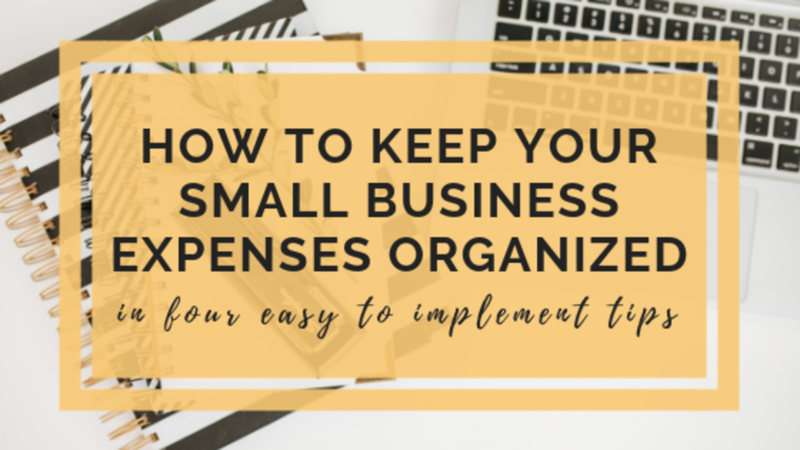 Keeping things organized as you go will save you time that is better spent working on the parts of your business that you’re passionate about, which will in turn bring you more money. It will also save you money, because you won’t lose track of deductions and end up paying more in taxes than you should have. You can’t include deductions on your tax return if you don’t remember they happened. It will also save you money if you’d otherwise be paying someone else to untangle your messy records at the end of the year. 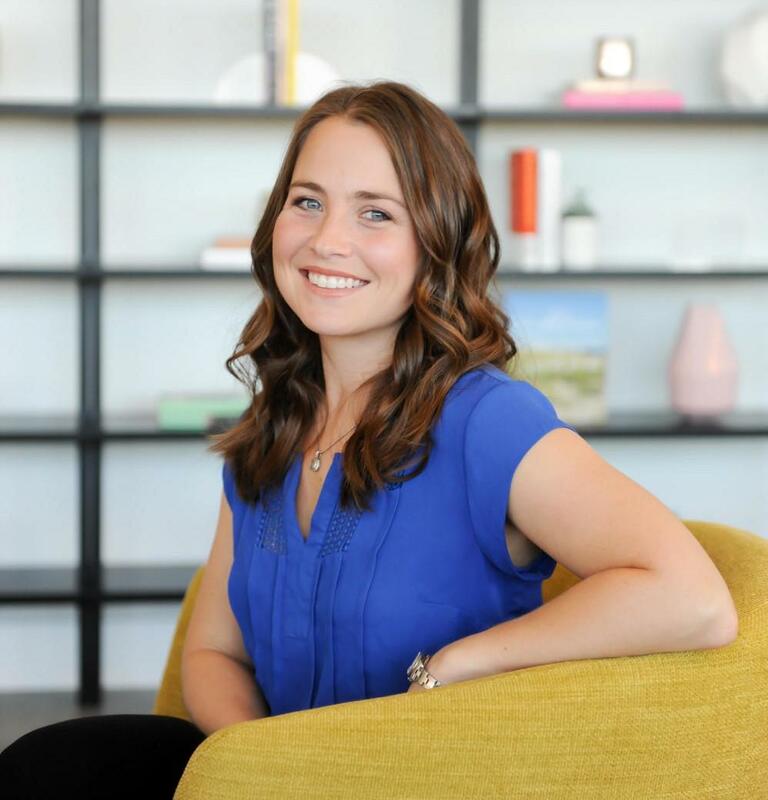 It doesn’t have to be hard to keep track of your small business expenses and it mainly comes down to developing a few good habits, I’ll share four of them with you now. You can keep it separate by opening a separate checking account and depositing all business income to this account and make all business purchases from it. If your expenses exceed your income, just make a transfer from your personal to fund the business until it catches up. If your income exceeds expenses and you need some of that money to pay personal expenses, just make a transfer back to your personal account and then pay your personal expenses from your personal account. This allows you to potentially get a bit behind on your bookkeeping without it hurting so badly. Once you do go in to play catch up, at least you’re just tallying up expenses in one easy to find place. This doesn’t have to be expensive and it doesn’t have to be a true business account. Even if you open up a personal checking account that you use just for business, it will do the trick. I’ve also seen people do this just by using a business only PayPal account. No matter what system you use, just be sure to keep it separate. It’s important to keep a daily planner so you can recall where you went and what you did. Aside from keeping track of income and expenses, you can also set goals for yourself, make to do lists, and just look back and see how far you've come! But back to the numbers... let's face it. Our memories are flawed, especially when we're busy. Jotting down where you went and what you did that day can help you when it comes time to figuring out how many business miles you can deduct at the end of the year and can be used as your documentation for those miles under audit. Get a pretty daily planner and keep it either in your car or on your nightstand. I personally prefer the nightstand. If you're a night owl like me, set a daily reminder on your phone to jot down what you did that day before bed. If you just can't mentally function after a long day, get in the habit of filling in what you did the following morning, before it all gets lost. Alternatively, you can keep it in your car and as you get to your destination, make a note of where you are and what you're doing. Either one of these options will literally takes you seconds per day and have a big impact come tax time. Keeping receipts is super important should you ever get audited. If you're like me, you have a paper aversion. I can never seem to find a way to stay organized with it and I find receipts crumpled up at the bottom of my purse with the ink worn off from the Florida heat. If you love paper and are really good about keeping it organized, do what works for you. Don't fix what isn't broken. But... if you are like a lot of people I speak to who have issues keeping it organized and who lose track of their receipts, then using Dropbox to store paper and e-mailed receipts is a great alternative. Dropbox is an amazing, FREE tool that once you start using, you will become obsessed with. I don't store anything for my business on my laptop hard drive anymore. I do a ton of business on both my laptop and my phone, and Dropbox also has an easy to use app for phones. You can access a document from both your computer and your phone without having to e-mail it to yourself. The first thing you'll want to do is download the app and create a folder in your Dropbox for receipts by year. You can use the scan feature to snap photos of your receipts that won’t take up space in your camera roll or get lost among pictures of your kids at the park (just me?). You can also store e-mailed receipts from your smart phone or computer to the same folder. Now all receipts are in one simple place. It’s best to save them as you go so you never have to play catch up later and so that you don’t miss any. Investing in cheap and powerful bookkeeping software will really simplify your record keeping. 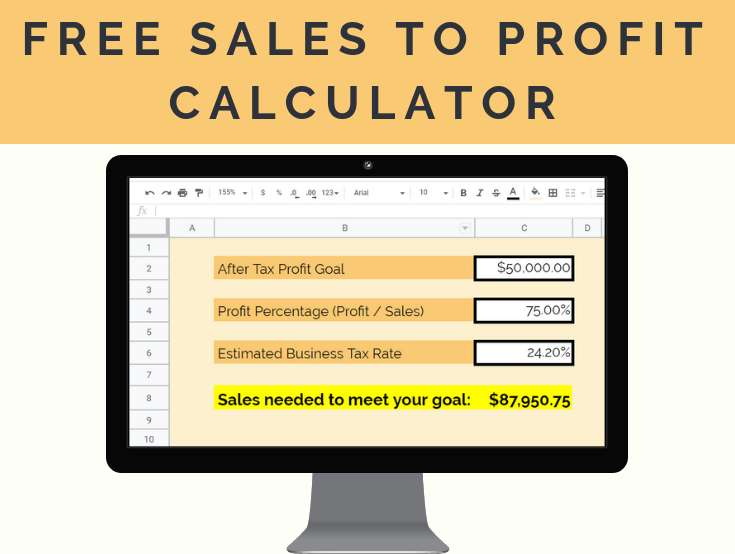 It has a lot less room for error than doing it on paper, using a calculator, or creating your own spreadsheet. You won't be able to make a math mistake or use a wrong formula. 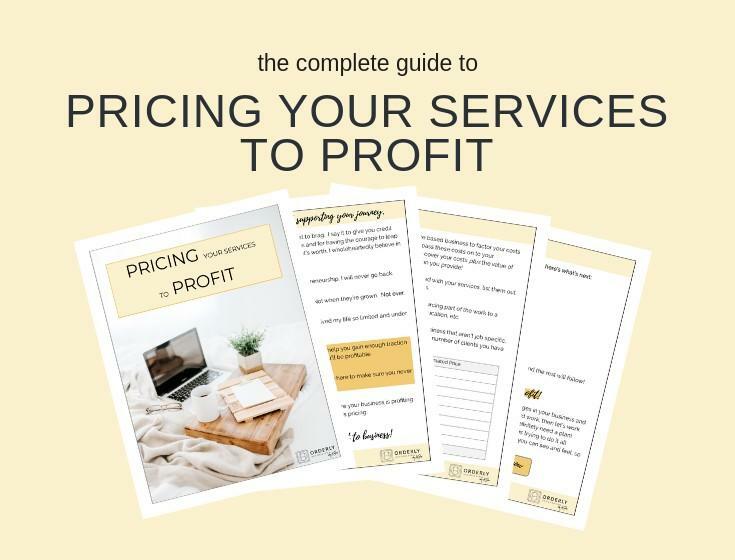 It'll keep track of your history each year in one organized space and run reports that add a lot of value to you as a business owner so you can see your costs and what you actually profit as well as compare prior years to see how your business is growing. It can also link right to TurboTax to make your tax filing a breeze if you do your own taxes. If your business is relatively small, accounting software may seem like something you don’t need, but the ease of it will be worth the cost. Quickbooks Online is very cheap, less than $10 a month, and they offer promotions for new customers often. If your budget allows, I love Xero, which runs $30 per month. I find it slightly easier to use, especially for non-accountants. If you implement tip #1 and use a separate credit card or checking account just for business use, then you can link that bank account right to your accounting software. Either of my recommended softwares will automatically import all of the transactions from your bank and you just need to note which category the charge was for (office supplies, shipping, advertising, etc). It’s best to deposit your income right to your business checking account, that way all income and expenses from your business activity are in one easy spot. You'll know you haven't missed anything because you will do a bank reconciliation each month that compares your bank balance to the balance in the books.